We've slimmed down every element of its bigger brother (R185CCSL) to create a lightweight, compact and robust 165mm multi-material cutting saw without compromising on cutting performance, power and versatility. 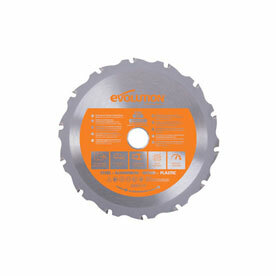 Accurate cutting with adjustable 53mm depth of cut. Compact, lightweight & robust design, weighing only 4.3kg. Japanese Tungsten-Carbide-Tipped (TCT) 165mm blade included. The arbor size of the R165CCSL is 20mm.